Download top and best high-quality free Lace PNG Transparent Images backgrounds available in various sizes. To view the full PNG size resolution click on any of the below image thumbnail. The lace that can be made by hand or by the machine is an open work to the fabric that is designed with open holes. One way to create lace is to remove cloth or threads of old fabrics, but the most popular option is to create open spaces as the fabric is being made. True laces are created when the threads are twisted, wrapped, or intertwined with other unshielded strands. The first lace was made of silk, linen, silver and gold threads, but cotton is the most popular thread today. It should be noted that the preparation of lace is also made with fine silver and copper wire. So, how to find the best lace pattern? Your choice should be based on your specific needs since different patterns are ideal for various applications. 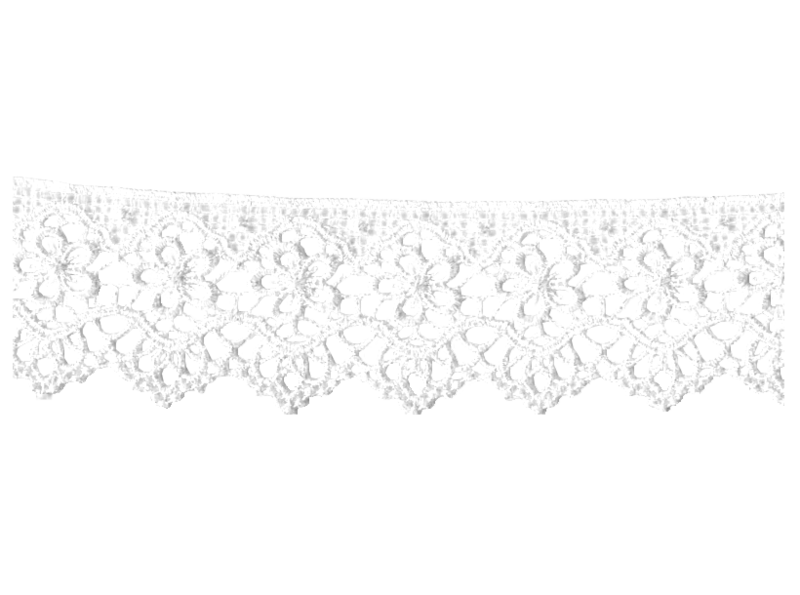 There is lace for use as basic materials for making costumes, wedding dresses, spiritual clothes and uniforms for household items, underwear and curtains, as well as hats, scarves and even handkerchiefs. Compare as much as possible to increase your chances of getting something unique. The Internet is the best place for this. Moreover, you can compare different options from around the world, but also get unparalleled convenience and anonymity. These patterns are mostly available for free. Other options include the books and other publications and copying from the clothes you have. Download Lace PNG images transparent gallery.